We invite all to come dance, relax, join our community workshops and explore the wonder for 3 days and 2 nights at a new, beautiful, wooded and hilly campground and retreat center in the Northern Midwest, just north of Minneapolis, MN. 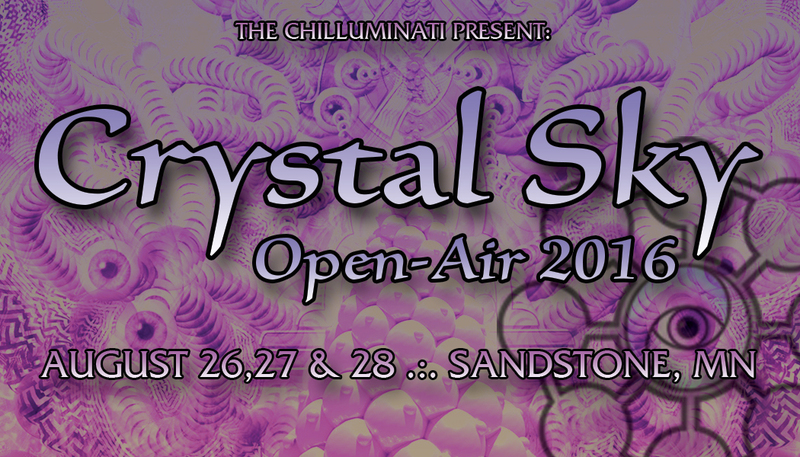 Crystal Sky Open-Air is an event that we hold close. It’s a gift that we all give to each other. Join us as we wrap up our eleventh year of bringing psychedelic trance music, tradition and culture to the Midwestern United States. We provide: 2 stages of sound, visuals, art, spiritual growth workshops, and amazing community. Warm indoor and outdoor amenities and many beautiful and secluded campsites for a relaxing and energizing gathering as the summer ends and before the autumn chill sweeps in. You provide: A tent, enough food and beverages for the weekend (or some cash: food and beverages will be available for sale). ABSOLUTELY NO GLASS, NO DRUGS, NO PETS, NO FIREWOOD (firewood can be purchased on-site). Event details, artist lineup, activities and community workshops are in progress and to be announced. 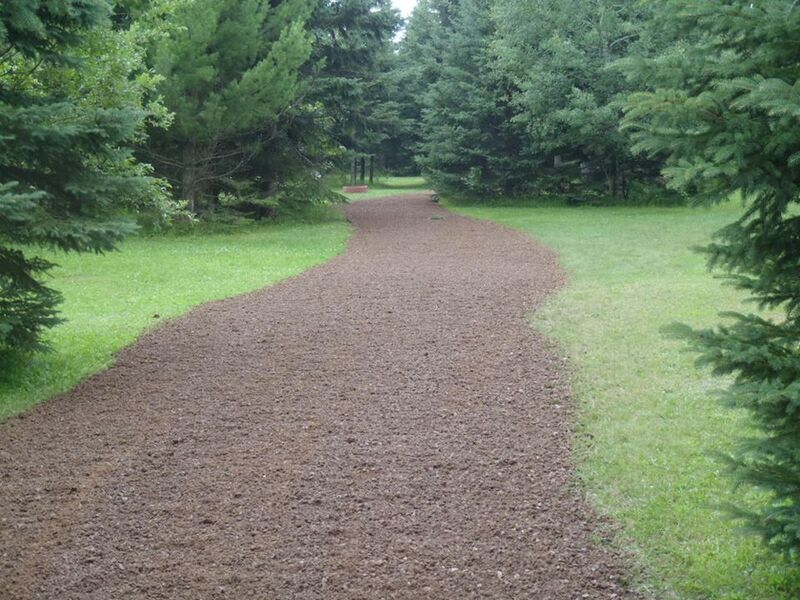 Two Creeks Campground is a private, 100 acre, totally secluded property for adults. It’s located 90 minutes northeast of Minneapolis/St. Paul and about an hour south of Duluth, Minnesota. There are two creeks on the property which is the campground’s namesake. We are very proud to host Crystal Sky Open-Air with Two Creeks Campground in 2016. NO ILLEGAL DRUGS or Drug Paraphernalia – Violators will be ejected from the Festival & are subject to prosecution under local, state, & federal laws. NO DOGS or PETS – if you bring animals you will be turned away at the gate. You must be 18+ years old to attend Crystal Sky. Valid ID may be required. Acceptable forms of ID are driver’s license, state issued ID or a passport. Crystal Sky is an 18+ event. No minors, no exceptions. ID IS REQUIRED. Camping is included with every ticket purchase. Please come prepared for rugged conditions. While you may camp anywhere you choose, camping will not be permitted directly in the stage areas or areas that are designated exclusively for special use such as parking, vending, workshops and daytime activities. Coming from a great distance by air? We can help with light camping gear including tent, chair, pillow and sleeping bag. Please contact us and we’ll work to make sure that you’re comfortable and help you minimize your travel gear. There is an extra charge for this service. RVs and campers are welcome and there are water, electrical and waste hookups available. You may bring a generator, but renegade sound in any form is not allowed. There is a $150 charge for all RVs and campers. You must purchase this in advance by clicking here. RV & camper accommodations are an add-on. You must have a ticket to the festival to be admitted. No single-day passes or reduced admission tickets are available for Crystal Sky. Interested in becoming a volunteer? We need your help! Contact us for information and to sign up. If you’re selected, you’ll get a limited edition Chilluminati promo pack in exchange for your help. Medical volunteers will receive free admission in addition to the promo pack (verification of medical credentials will be required). Interested in vending? Please contact us in advance. ONLY homemade crafts, cloths, art, farmers market items, etc will be allowed. NO COOKED FOOD, BEVERAGES, OR ALCOHOL VENDING will be allowed without prior approval. ALL VENDORS will still need to purchase a ticket for each person on their staff. – NO EXCEPTIONS! All vendors must pre-register. (Homo Sapien Psypiens- [psy-pɪˌɛn]) - A mammal of the primate order originally from Africa, that reached anatomical modernity about 200,000 years ago and began to exhibit full behavioral modernity around 50,000 years ago. In the late 90's he began to exhibit regular psytrance-listening behavior, and evolved into a producer in early 2012. Psytrance is Psypien's natural habitat; at once ancient/primal and futuristic/technological. It echoes the endless web of existence in which we live, and evolves with us with each step we take. Psychedelic trance, chill and ambient are the music that we play. Music in itself is a transformative and psychedelic agent. Our gatherings are more than music, however. They are multidimensional and multifaceted experiences-incorporating musical, visual, art and kinetic performances, as well as interactive workshops and community. Does anyone know what the tier 2 presale means?